The Friends of Middleton Park (FoMP) were formed in 2003 to promote local interest and involvement in the park and its woodland. Parts of the woodlands are designated as Scheduled Ancient Monuments for their early mining remains, but there was a need for further understanding of their extent and history. A community archaeology project was proposed to investigate these remains. It was realised that the park's history is little understood by the general public and that future management of the park would benefit from knowing more about the archaeology that it contains. Meerstone Archaeological Consultancy, due to their expertise in historic mining, were contracted to run the community archaeology project to record and understand the archaeology of the park. 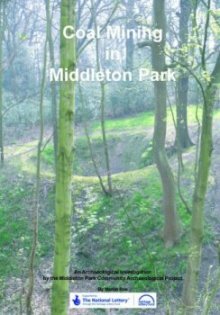 To coincide with National Archaeology Week 2008 (July 12th-20th) the Friends of Middleton Park (FoMP) announced the publication of a new book, which highlights the park as an area of major historic significance. Coal Mining in Middleton Park: An Archaeological Investigation by the Middleton Park Community Archaeological Project details the findings of the project, and demonstrates that Middleton Park is one of the best preserved and most important historic coal-mining landscapes in West Yorkshire. The project has recorded and interpreted coal mining remains within Middleton Park, demonstrating the survival of a wide range of features associated with different styles of mining dating from the 17th to the 19th century, including over 270 shaft mounds ranging from small areas of shallow workings to deeper shafts wound by horse gins and steam engines. As well as coal mining, Middleton is also known for its railway, developed to Leeds in 1758. Within the park more than 2km of waggonway have been identified. This book has now sold out. However, if you have any queries about the project or the History of Middleton Park feel free to email us, and we will do our best to help. The new publication 'Coal Mining in Middleton Park' is a wonderful addition to any local historian's bookshelf. It is a success on so many fronts, but above all a celebration of the achievements of the Friends of Middleton Park who, with support from the National Lottery, created this imaginative project. 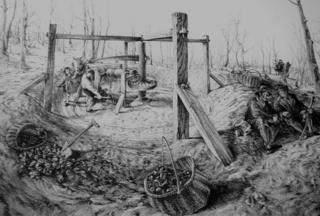 Martin Roe, the Project Archaeologist, has written a fascinating account of the development of mining in this area. One that challenges myths, provides fresh evidence for the historian and tells, in an easily accessible way, the impact of centuries of coal extraction on the landscape of this part of Leeds. What shines throughout the book is the pride of the volunteers who have given hours of their time to accurately record the location of the workings and their clear love of the area. The book is a testimony to their enthusiasm for finding out more about the history of the park and, I believe, is a national exemplar of how a community archaeology programme should be run. The project ran over the winters of 2006-7 and 2007-8 and has provided a detailed record and account of the archaeological remains associated with historic mining, located within woodland in Middleton Park. The survey has recorded over 400 individual features, including over 270 shaft mounds. Other features include waggonways, earthworks, and hollow ways defining old trackways. Documentary research has also been undertaken using both primary and secondary resources. The project has increased the public understanding of the site and made a substantial contribution to the local communities' sense of heritage. The Project was one of 5 finalists nominated for the best amateur or independent project 2008's British Archaeological Awards. The winners were announced at The Awards at the British Museum on Monday, 10th November 2008, and while the project did not win the Pitt Rivers title, we are all proud that we were awarded a Highly Commended! 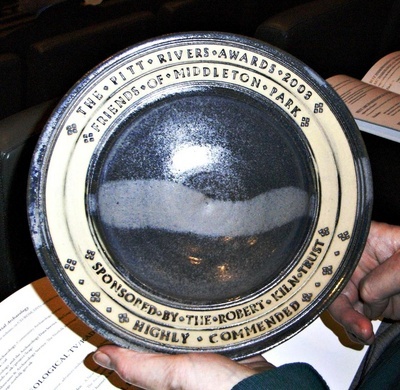 "The BEST AMATEUR or INDEPENDENT ARCHAEOLOGICAL PROJECT is better known as the Pitt Rivers Award. Since the beginning of the Awards, it has been sponsored by the Robert Kiln Charitable Trust. The judging panel offer three Highly Commended certificates." ... "The second Highly Commended project is a community project conducted under testing conditions effected the comprehensive archaeological survey of an extensive early coal mining landscape. The result was a major re-assessment of the known archaeology of the area. 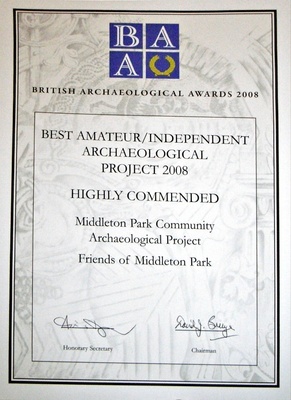 For the Middleton Park Community Archaeological Project, Friends of Middleton Park are Highly Commended." The Final Report (2006/2008) is available here for download. It has been split up to make downloads a bit easier. Part 3 of the report contains many photographs making it too large to download. It can be viewed by contacting FoMP. This project was funded by a Your Heritage Lottery Grant and has been supported by Leeds City Council: Parks and Countryside, Northern Mine Research Society, West Yorkshire Archaeology Advisory Service and English Heritage. *The Adobe Acrobat PDF format is standard for both PC and Apple Mac computers, and you will need PDF reader software in order to view the documents.